Visit the Store Catalog Manager app by selecting it in the app menu or by visiting the Dashboard and selecting it there. 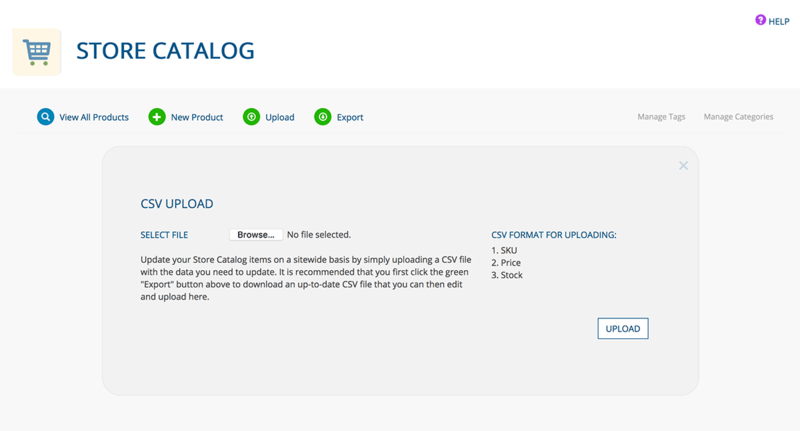 The Store Catalog Manager is a robust app with a variety of features. It is possible that your store set-up does not require all of the available features, meaning that not all of the following documentation applies to your set-up. 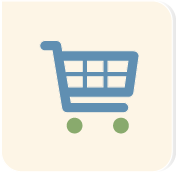 Each listing (C) tells you the product name, SKU, price, brand, price and number in stock, whether the product is hidden, and gives you the option to edit or delete an item by clicking the appropriate icons (D). You also can edit an item by clicking it. 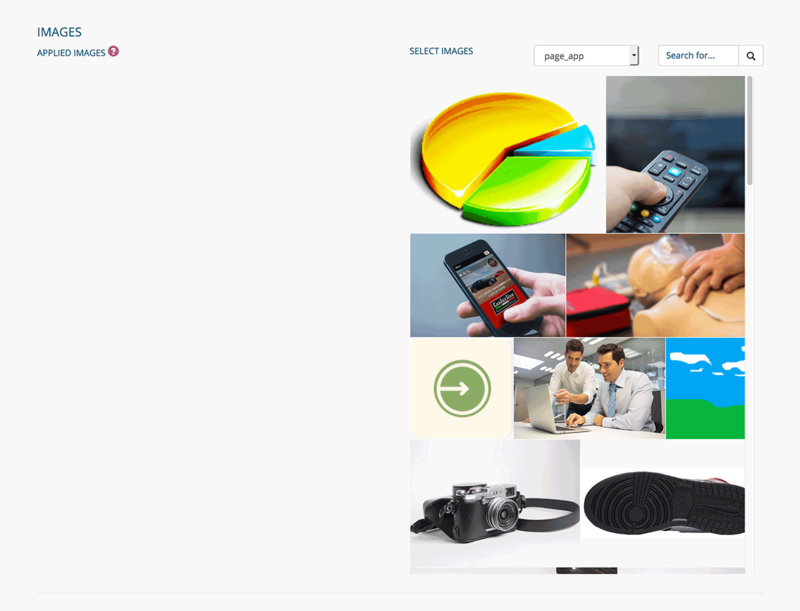 Return to this page by clicking VIEW ALL PRODUCTS (G) from any page within the app. 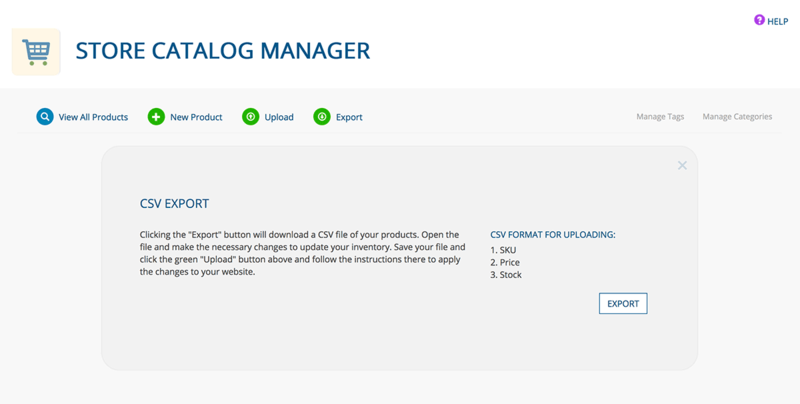 Click NEW PRODUCT from any page in the Store Catalog Manager app. Select an option from the BRAND dropdown menu, or add a new brand and click the + icon. Keep the HIDE ITEM in its default ITEM LIVE position to publish the product. Click it to hide the item. 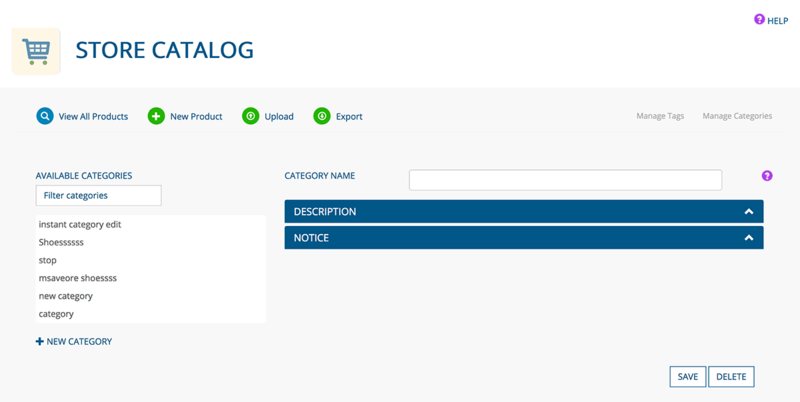 Click an item from the AVAILABLE CATEGORIES field to assign it to the product; it will move to the ASSIGNED CATEGORIES field. Click an item from the ASSIGNED CATEGORIES field to unassign it. — Winter Traction: A unique high-performance winter tread compound offers performance driving in all winter conditions. — Ice Traction: High-blade density with multiple biting edges helps provide enhanced grip in snow and ice with wet and dry steering capability. An option set is used for a product that has variations, such as color or size. Click a tag in the AVAILABLE TAGS field to assign it to the product. Click a tag in the ASSIGNED TAGS field to unassign it. Click an item in the AVAILABLE RELATED PRODUCTS field to assign it to the product. Click a tag in the ASSIGNED RELATED PRODUCTS field to unassign it. 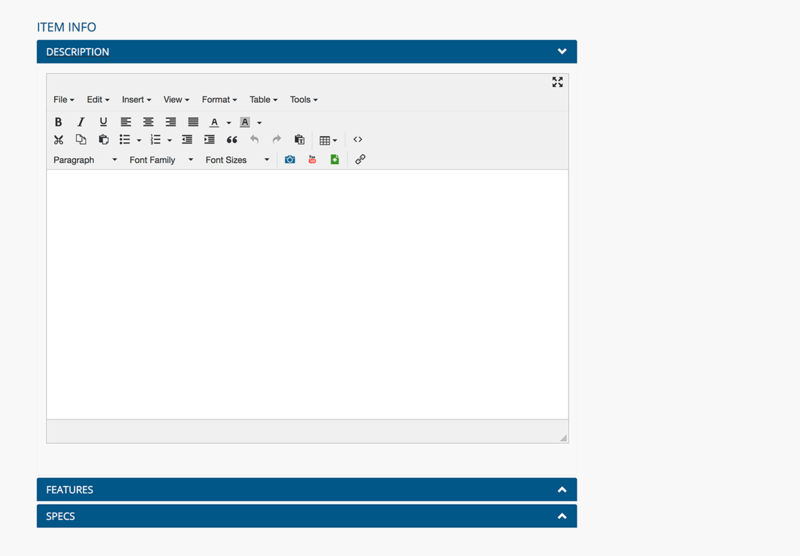 Click the SAVE button when you are finished creating/editing your product, or the DELETE button to delete it. Click the SAVE button when you are finished creating/editing your category, or the DELETE button to delete it. An Excel spreadsheet will be downloaded to your computer. Open it, make edits to the file (do not make changes to the ID column, and do not change the name of the file) and save it.